Founded in 2004 to meet the legal needs of deployed U.S. Servicemembers, the Mason Veterans and Servicemembers Legal Clinic (M-VETS) directly aids in the readiness, quality of life, and morale of the members of our military forces and their families. The Commonwealth of Virginia has nearly 800,000 veterans in its jurisdiction, with nearly one quarter of those veterans residing in Northern Virginia. Northern Virginia is further home to a large number of active duty personnel and their dependents, increasing the need for legal services in this area. The clinic’s unique location as well as its ability to provide civil legal representation where representation from installation legal assistance attorneys is not available makes it a valued resource. Today, M-VETS represents clients from all five branches of the military and provides the most comprehensive legal representation of any veterans’ clinic in the Commonwealth of Virginia. Services include applications for discharge upgrades; representation before Medical and Physical evaluation boards; appeals of denied Veterans Affairs disability compensation claims; appeals to the Board of Veterans Appeals and the Court of Appeals for Veterans Claims; and representation in the negotiation and litigation of consumer protection, contract, family law, landlord-tenant and expungement cases in the Virginia courts, as well as drafting simple wills and powers of attorney. The mission of M-VETS is to provide free representation to active-duty members of the armed forces, veterans, and their families while offering law students the opportunity to receive supervised, practical legal experience by advocating for those who serve or have served in our United States Military Forces. As the first veterans law school clinical program in the United States, M-VETS served as the model for veterans and military clinics in law schools across the country. M-VETS vision is to be recognized as the most comprehensive and prolific veterans clinical program in the United States and to again serve as the model for veterans and military clinical legal education. Some big changes are taking place! For the M-VETS Legal Clinic, 2016 was a big year with some big changes. To start, this Year in Review will be an annual publication from M-VETS detailing the events of the previous twelve months and the plans for the next. First, M-VETS will be maximizing development opportunities and increasing its staff in order to grow the program. To this end, M-VETS hired its first full-time managing attorney this past year, Leigh M. Winstead. Ms. Winstead is devoted to supporting civil litigation matters at the M-VETS clinic and overseeing the daily operations of M-VETS. Second, M-VETS will be increasing its community outreach with strategic partnerships such as the American Legion Post 139 in Arlington, the Virginia Department of Veterans Services and the Center for Psychological Services at George Mason University. These partnerships will enable M-VETS to serve a greater number of veterans and servicemembers while providing Scalia Law students with hands-on legal experience in a variety of substantive legal areas. Finally, M-VETS’s ultimate goal is to expand veterans’ access to free legal services. In the Fall 2016 semester, M-VETS welcomed its largest class in program history and provided the private market value equivalent of over $250,000 in pro bono legal services. With continued program expansion, M-VETS is anticipating another record-setting year in 2017! A special thanks to student-advisor Matt McIntee and Managing Attorney Leigh M. Winstead for their great work in making this Year in Review possible. For the first time in program history, two student-advisors with The Antonin Scalia Law School Mason Veterans and Servicemembers Legal Clinic participated in the 2016 National Veterans Law Moot Court Competition at the George Washington University Law School in Washington, D.C. Matthew McIntee and Rodger Nayak, third year law students at Scalia Law School and student-advisors with the M-VETS program, entered the competition in September 2016 and worked for two months to prepare a brief in support of the hypothetical Respondent and prepared to argue both sides of the appeal during oral argument at the competition that took place on November 5-6, 2016. Beginning in the fall of 2016, M-VETS detailed two student-advisors, Jameson Goodell and Fernando Cota-Wertz, to assist with the Fairfax County Veterans Treatment Docket (“VTD”), the first court-supervised comprehensive veterans treatment program in the Commonwealth of Virginia. Both student-advisors made a two-semester, nine-month commitment to the docket. Mr. Cota-Wertz is assigned to the Commonwealth Attorney’s Office assisting prosecutors and the presiding Judge with participant selection and acceptance into the program. Mr. Goodell is assigned to the Fairfax County Public Defenders Office in a role advocating for those seeking to graduate from the very selective and intensive program. M-VETS was a driving force in the development of the VTD, which held its first formal session in February of 2015. The VTD continues to provide veterans with diagnosed mental health conditions and/or substance abuse issues a comprehensive treatment program supervised by Fairfax County Circuit Court Judge Penney Azcarate. There are over 200 Veterans Treatment Dockets around the United States, the first of which was formed in 2008 in Buffalo, New York. Despite boasting the seventh highest veteran population in the country, Virginia did not have a veterans treatment court until the establishment of the Fairfax County VTD in 2015. M-VETS scope of pro bono services has expanded tremendously since its inception in 2004. The clinic initially began providing pro bono legal representation in civil litigation matters in Northern Virginia courts, including landlord-tenant matters, contract disputes, and family law cases. The clinic later increased its footprint in the military community by expanding its practice area to include military law and VA matters, providing valuable representation to Veterans and their dependents which directly impacts their access to VA benefits and services. In 2016, M-VETS took initiatives to expand its practice areas to include expungements in northern Virginia courts and drafting simple wills. M-VETS expanded in response to a large number of requests for legal services in these particular areas. With the addition of these new services, M-VETS will be able to serve a greater number of veterans and servicemembers. Timothy M. MacArthur is a Clinical Professor and Director of the Mason Veterans and Servicemembers Legal Clinic at the Antonin Scalia Law School at George Mason University. Professor MacArthur brings to the position over 14 years of military experience with the United States Army. MacArthur began his legal career as an active duty Judge Advocate in the United States Army Judge Advocate General’s Corps where he served as a Trial Defense Counsel, Trial Counsel/Special Assistant United States Attorney and Administrative and Legal Assistance Attorney. Following his release from active duty, Tim practiced as a Principal Assistant Public Defender in Lake County, Illinois, where he litigated difficult felony cases and was a Public Defender representative to the Veterans Treatment and Assistance Court. 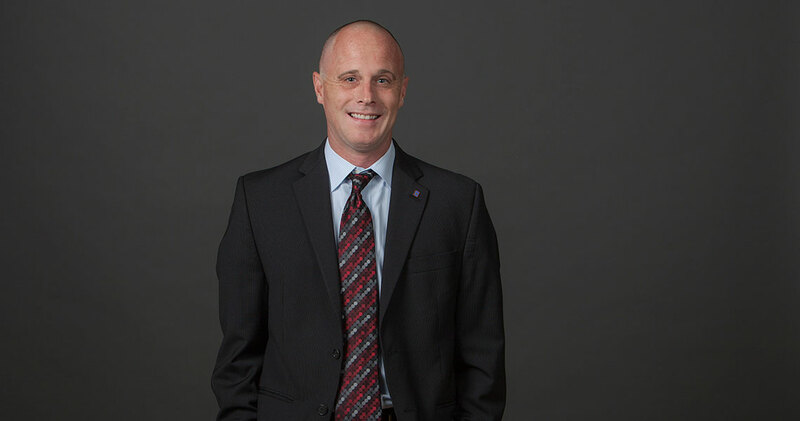 Simultaneously, Professor MacArthur served in various legal positions in the U.S. Army Reserve, to include, as a Brigade Judge Advocate, Ethics Advisor and Team Chief. Tim’s JAG career has taken him to many places, but perhaps the highlight is 2011 when he was selected to be the Deputy Staff Judge Advocate for Joint Task Force Guantanamo at the U.S. Naval Station in Guantanamo Bay, Cuba. As part of JTF-GTMO, he served as Staff Judge Advocate in the absence of the SJA, worked on JTF-GTMO policies and procedures, oversaw legal aspects of detention operations, served as a SJA liaison to the Joint Detention Group entering the camps and resolving detainee requests, and supervised the daily operations of the JTF-OSJA. Immediately prior to joining the faculty of George Mason, Professor MacArthur completed a 2-year mobilization in the U.S Army Office of Soldiers’ Counsel as a Physical and Medical Evaluation Board Counsel representing Soldiers before formal Physical and Medical Evaluation Boards. Professor MacArthur received his Juris Doctorate from Michigan State University/Detroit College of Law in 2001. He received a Bachelor of Science degree in Psychology from Madonna University in 1998. Professor MacArthur is a member of the Illinois Bar. 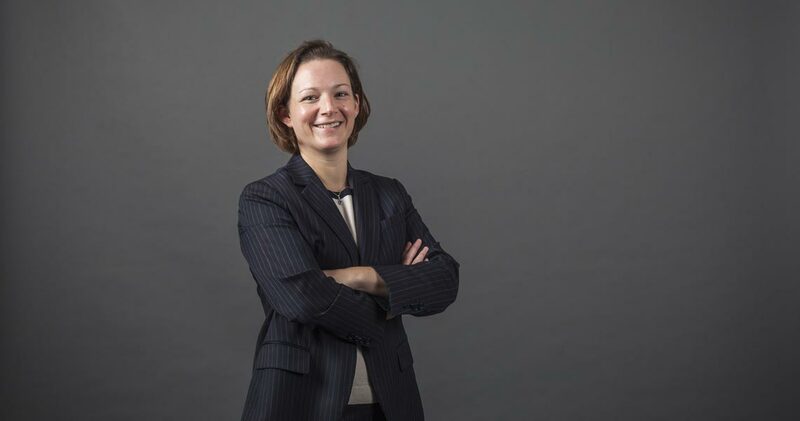 Leigh Winstead is the Managing Attorney for the Mason Veterans and Servicemembers Legal Clinic where she oversees all civil litigation matters in the clinic and manages the daily operations of the clinic. Prior to joining George Mason, Ms. Winstead was an associate at Odin, Feldman & Pittleman, P.C. practicing in the civil litigation and intellectual property practice groups. Ms. Winstead’s diverse practice encompassed, among other things, commercial contract disputes and intellectual property litigation in state and federal court. While in private practice, Ms. Winstead was named among Virginia’s Legal Elite by Virginia Business magazine for Legal Services/Pro Bono in 2013 and 2015. Ms. Winstead has authored and co-authored several published articles including, Sirius Mistake: The FCC’s Failure to Stop a Merger to Monopoly in Satellite Radio, 59 AM. U. L. REV. 83 (2009) and Putting the Genie Back in the Bottle: Leveraging Private Enforcement to Improve Internet Privacy, 37 WILLIAM MITCH. L. REV. 1671 (2011). Ms. Winstead earned her B.A. from The Pennsylvania State University and her J.D. from American University, Washington College of Law where she was a member of the American University Law Review. Ms. Winstead is a member of the Virginia Bar. M-VETS is proud to announce a newly formed partnership with the Virginia Department of Veterans Services (VDVS) to assist VDVS with cases before the Board of Veterans Appeals (BVA). The partnership will provide a significant amount of meaningful work to student-advisors who will have the opportunity to argue appeals before the BVA with the oversight of VDVS attorneys. In an effort to provide clients with affordable access to psychological evaluation services, M-VETS has teamed up with the Center for Psychological Services at George Mason University (CPS) to facilitate a referral resource for M-VETS’ clients to receive psychological services necessary to support their benefits cases. CPS provides evidence-based assessment and treatment services primarily conducted by GMU graduate students under the supervision of qualified, licensed professionals who are affiliated with the University. Patriot Thursdays is a partnership between the Mason Veterans and Servicemembers Legal Clinic and American Legion Post 139 located in Arlington, Virginia. This partnership will be housed at American Legion Post 139’s location at 3445 Washington Blvd, Arlington, Virginia 22201. M-VETS is able to provide much needed legal services to members of the military, their dependents and veterans. Due to the proximity of Post 139 to the Antonin Scalia Law School, it was an ideal partnership to form. Providing direct access to legal resources to the large veteran population in our geographic area is a priority for M-VETS. M-VETS provides legal representation concerning VA Disability/Benefit Appeals, Discharge Review Boards, Boards for Correction of Military Records, Medical/Physical Evaluation Boards, and military legal issues. A unique service offered by the M-VETS legal clinic is the ability to provide representation to clients in Northern Virginia civil courts in certain cases. M-VETS partnership with American Legion Post 139 will provide the opportunity for veterans and Servicemembers to speak one-on-one with attorneys and student-advisors in an informal setting regarding a wide variety of civil matters, such as landlord/tenant issues, contract disputes, or guidance in the divorce or separation process. Many times clients simply need legal advice rather than representation, but general legal consultations can cost hundreds of dollars. This program will increase veterans’ access to legal services in a comfortable, confidential forum. M-VETS will conduct office hours at Post 139 by appointment on Thursdays from 1300 until 1600 in order to provide legal services in a familiar and friendly environment. Post 139 will provide confidential workspace, which will allow for veterans to have their legal matters heard and evaluated by student advisors in the M-VETS program with supervision by an M-VETS attorney. More information can be obtained and appointments can be made for this program by visiting http://mvets.law.gmu.edu/patriotthursdays/ by email at mvets@gmu.edu and phone (703) 993-8214. American Legion Post 139 can be reached at legionpost139@gmail.com or (703) 524-1396. Amicus Curiae brief filed in the U.S. Supreme Court on behalf of M-VETS and veterans seeking redress in medical malpractice claims against the Department of Veterans Affairs. In September 2016, an Amicus Curiae brief was filed on behalf of M-VETS together with the Baylor Law School Veterans’ Assistance Clinic (“Baylor Clinic”) in an effort to increase available avenues of justice for veterans seeking redress in medical malpractice claims against the Department of Veterans Affairs (“VA”). The brief was filed on behalf of M-VETS and the Baylor Clinic in support of the petitioner in Milbauer v. United States of America, which was on petition for writ of certiorari before the United States Supreme Court. The case would have resolved a split among the United States Circuit Courts as to whether the Veterans’ Judicial Review Act (“VJRA”) bars federal district courts from hearing VA medical negligence suits arising under the Federal Tort Claims Act (“FTCA”). The Petitioner, Richard Milbauer, brought suit against the VA after the failure of VA physicians to recommend and perform alternative diagnostic procedures rendered a treatable shoulder injury permanent. The Eleventh Circuit held that the federal courts lacked jurisdiction over Milbauer’s claim based on a broad reading of the VJRA’s prohibition on judicial review of any VA decision affecting “the provision of benefits” to veterans. M-VETS student-advisor Michael West spearheaded this effort for M-VETS along with Managing Attorney Leigh Winstead. M-VETS and the Baylor Clinic were represented by the international law firm of Reed Smith LLP in filing the brief. In January 2017, the Supreme Court denied Milbauer’s petition for certiorari. Military Pay. The FY17 NDAA authorized an across-the-board pay raise of 2.1% for service members, effective January 1, 2017. However, it should be noted that the FY17 NDAA does not apply to Basic Housing Allowance rates. Civilian Pay. President Obama extended the 2.1% pay raise for military service members discussed above to all civilian employees in the federal government (not only those in the DOD). Additionally, the Office of Personnel Management adjusted the Cost of Living Adjustment (COLA) for various localities in 2017. The Antonin Scalia Law School Mason Veterans and Servicemembers Legal Clinic contributed to the ABA Law Student Division Before the Bar blog. The Before the Bar blog connects students to information on careers and topics within the legal field and spotlights projects that are going on at law schools. One of these areas, legal services for Veterans, is the special focus for the ABA Pro Bono week taking place from 23-29 OCT 2016. At the annual ABA meeting in August, ABA President Linda Klein launched a Veterans Legal Services Initiative focused on providing a major effort to mobilize lawyers on behalf of enhanced legal services for the nation’s veterans.